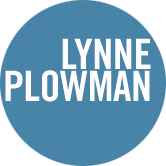 Lynne Plowman’s compositions range from delicate instrumental solos to dramatic large-scale vocal, theatrical and orchestral works. Commissioners and collaborators include Welsh National Opera, Glyndebourne, the Royal Shakespeare Company, the London Mozart Players, Presteigne Festival, Piano Circus, UPROAR, the Berkeley Ensemble, O Duo, Okeanos, BBC National Orchestra of Wales and the BBC Singers. Lynne Plowman is a composition tutor and Honorary Fellow of the Royal Welsh College of Music and Drama, and resident composer for the Dyfed Young Composers scheme. Her work is published by Chester Music and Composers Edition.